Women are not allowed to box is a declaration Deirdre Gogarty heard often growing up in Ireland. Not only was boxing illegal for women at the time, it was socially frowned upon. Her father, an oral surgeon, inventor and gifted artist, didn’t want his youngest daughter to fight. Expectations were of college, art school, marriage, and children. 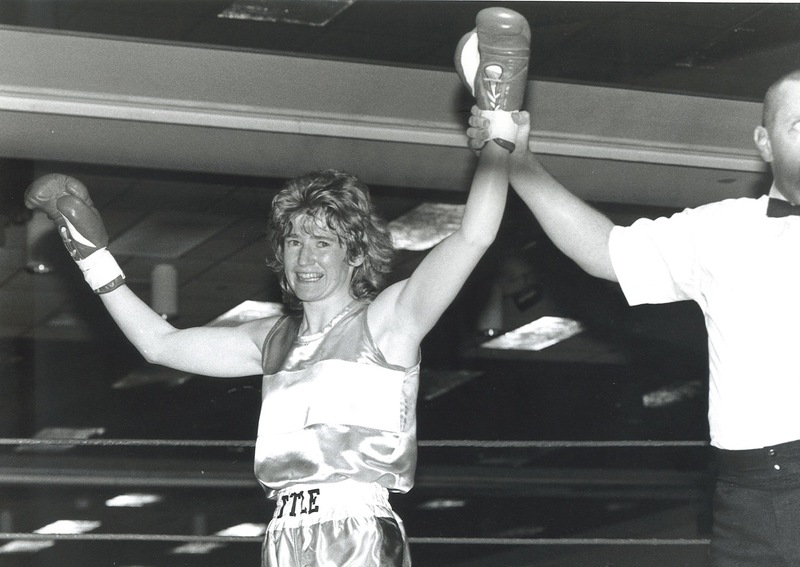 But once she feasted her eyes on a champion boxer, nothing would stop her.At the age of twelve, Deirdre turned on the television and heard the name Dempsey. Mesmerized by a documentary about the legendary prizefighter, she was left hungry for the sport. She asked her dad to fabricate a heavy bag for hitting. And he did, but only after advising that girls aren’t supposed to hit things. He taps the side of my face. The homemade bag was buried after that, but not for long. No, boxing was not some passing fancy. The budding athlete’s passion was so intense she’d go on to defy her parents, her country, and find coaches willing to train a woman, not knowing if she’d ever be allowed to box. She would have to find a way because for Deirdre, to box was to breathe. It was life. And nothing seemed to extinguish her fury. Not frequent insults or teasing, exhaustion or beatings. She trained and sparred with men, lightweights, heavyweights, and champions. As we collaborated on each chapter, my respect and admiration for her grew. But a recent chapter made me thankful my own passions never included bouts in a ring. In the fifth, I fear the doctor will stop the fight. So I push myself to the limit of collapse, beg my body to function—but it wants to die. I manage to squeeze enough energy to stay upright and even catch my opponent with stinging head shots. Combinations ripple up and down my head and torso. So I rip combinations right back. Exhausted, lungs struggle for breath, muscles scream with pain. But we stand head-to-head, toe-to-toe. So many punches are flying; it’s hard to know who’s winning this round. I’m landing clean shots in the sixth, and my rival slows down. So I catch her with a left hook. She tries to escape along the ropes, but I slide with her and nail another left hook. And then she unleashes combinations. Again, we stand head-to-head and exchange blows as sweat floats and sprays like Mum’s garden sprinkler in Mornington, an image that helps me to escape the rapid-fire pain of gloved fists. And then I sense the roar of the crowd as they leap to their feet, seconds before the bell. And then I understood. There are different types of passion. One is like a blaze that roars but goes out. It can be extinguished. Its ashes are smudged numbers of ex-lovers, or items stuffed into garages, closets, and Goodwill bins: tennis racquets, treadmills, and bicycles (you get the picture). The passions we choose are often abandoned. Beau urges me to stay on my stool until the start of the seventh round. He wants me to get every possible second of rest. But my attempt to box is weak. And then my adversary springs an attack. I desperately try to fight her off, but she presses me to the ropes. My legs are gone, so she plants her feet and rips into me. Don’t stop punching back! But my arms are dead. I can’t move. Keep punching back or they’ll stop the fight! Keep punching back or they’ll stop it! The paragraph ends, but not Deirdre’s story. Though it is a perfect example of what it takes to survive for the chosen artist or athlete: to keep punching back when you’re not allowed to compete; to keep punching back in spite of insults and teasing; to keep punching back when you’re fearful of losing; to keep punching back until the end of the fight.